Victorian jockey Ryan Maloney has made an outstanding start to his new life in Queensland. 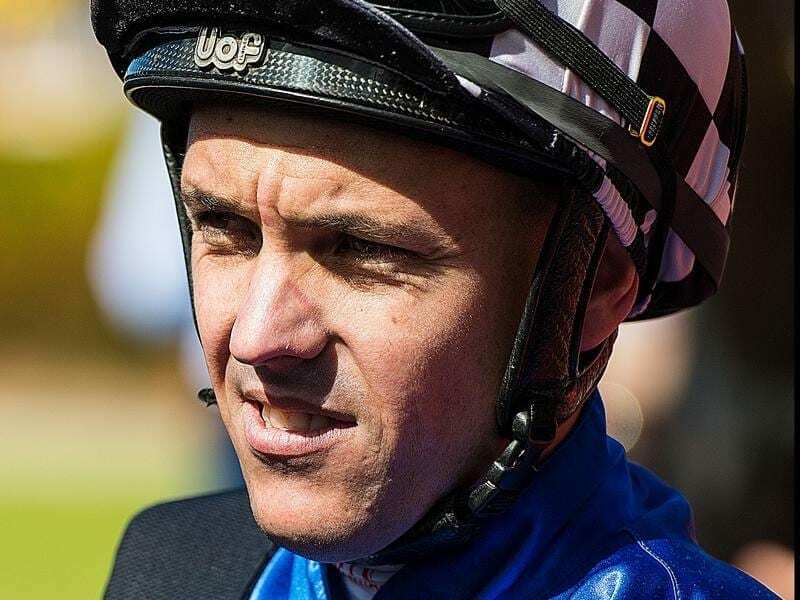 Former Victorian jockey Ryan Maloney is keen to keep the lid on the excitement about his move to Queensland while at the same time riding more winners. Maloney swept to the joint lead with Jeff Lloyd in the metropolitan jockeys premiership on 11 winners with a treble at Caloundra on Saturday. He leads the Queensland premiership with 14 winners, two more than Lloyd who has announced his intention to retire this year. “Things are going well and I just have to work hard to make certain they continue,” Maloney said. After a four-month suspension in Victoria, Maloney came to Queensland for a new start to take up a position with the Toby Edmonds stable and has quickly got the backing of other trainers. One of his three winners on Saturday was Tawfiq Boy for Kris Lees who is keen to use him as often as possible especially with Damian Browne out of action with facial injuries. After a close second over 1050m at Doomben under Lloyd two weeks ago, Tawiq Boy led all the way to win the 1200m-Class Three race. Lees’ Queensland representative Mel Eggleston said Maloney had been rewarded with several rides for Lees including Tawfiq Boy after winning on Dal Cielo at the Gold Coast. “Ryan is going well and trainers like to stick with an in-form rider. It was a nice ride from him on Tawfiq Boy to get through and win and the horse is on the up,” Eggleston said. Maloney also won on From Within and Deer Mountain to book-end the program for Edmonds. “Ryan is certainly riding well,” stable foreman Trent Edmonds, said. Among Maloney’s unplaced rides was Siegfried in the open handicap and Edmonds said the tough sprinter had run his last race and would be retired to the family’s farm.